The northbound on=ramps off Highway 20n would be reconfigured. At first glance, the proposed changes that state highway planners have drafted for the Albany interchanges on Interstate 5 look complicated and costly. And it’s not clear to the average motorist how they’re going to improve the flow of traffic. 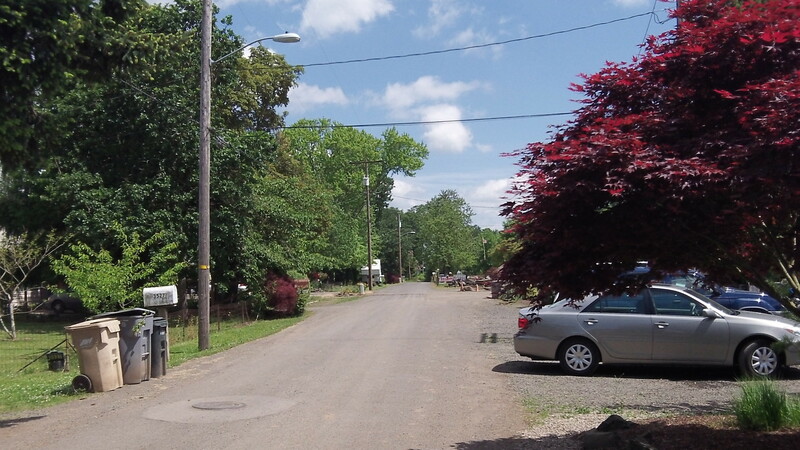 — Airport Road would either become a cul-de-sac at its south end or be connected westward through the neighborhood to Bain Street. Now Airport swerves as the access to the southbound on-ramp at Highway 20. Instead, there would be a southbound on-ramp off farther north. Airport Road itself would be shifted slightly westward. This is Dunlop Avenue, which would carry traffic from Century Drive to Knox Butte Road. — At the Knox Butte interchange, Century Drive would no longer connect to Knox Butte Road. Instead, a new connection would be built along Dunlop Avenue and Expo Parkway. Some of the ramps would be shifted or realigned. — At the Santiam (Highway 20) interchange, the southbound loop off-ramp would be removed. Presumably there would be another way to get off the freeway there, but the map doesn’t show it. The northbound on- and off-ramps would be realigned too, and the question is why. Unlike the mess on the west side of the interchange, these east-side ramps seem to work OK. The area needs an additional south bound on ramp to I-5. There are also safety concerns with the current freeway system through the Albany area. 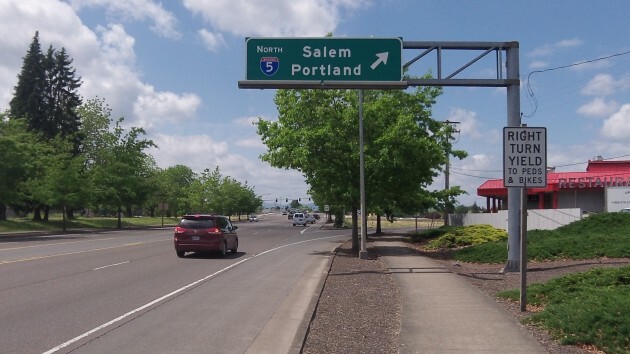 ODOT has embarked on a planning exercise to reconstruct the freeway and interchange system over the next 25 years. I would say the ODOT staff at the local level has been very receptive and attempted to incorporate the community’s input into plan designs. Dealing with federal transportation restrictions have been a major challenge to the point of having a redesign of Airport road that make little or no sense depending on the option you look at. As an example, routing Airport road through what is currently the Heatherdale mobile home park could make some sense to meet one set of federal rules, however another area of federal law prohibits any plan that could displace residents of the park even though it is highly unlikely that by the time of construction the mobile park would exist in it’s current form. I would also say that at this stage, this is a planning exercise and the initial cost estimate to actually modify the interchange system and expand the freeway to three lanes each way in our area is 500 million dollars. Based on the current status of funding of transportation projects in Oregon, it is hard to conceive how any of this actually gets done in our lifetimes. The flip side of all of this is that if we raise enough heck, tell state and federal officials to take a hike they just might take us up on the invitation. While life would be easier in the short run for not having to deal with this issue, 25 years down the road it likely would be bad for the economy of our area and the quality of life here if our transportation system does not function adequately.